Challenging as it may be, our water damage Boca Raton team with 911 Restoration Miami is always at the vanguard of the industry, ready to eliminate water wherever it starts to do damage. Our technicians know from experience that the best way to prevent damages from increasing in these situations is to arrive at the site quickly and prepared to do good work. In our constant effort to give our clients the best, we arrive within 45 minutes of any emergency call we receive. Concomitant with our speedy arrival, we are also available 24/7/365 for whatever kind of crisis emerges, be it a storm, hurricane, or a major flooding event. When out water damage Boca Raton technicians take on a project, we make sure to always put the customer first with every aspect of all the jobs we do. 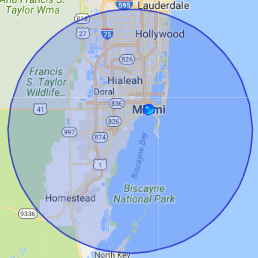 If your home or office location is already amid a flooding scenario, then be sure to contact our water damage Boca Raton team with 911 Restoration Miami today! Our master technicians are IICRC certified to handle any sort of calamity that we encounter, but we are also tapped regularly for our ability to help folks avoid such instance too. Never let the debris and leaf clutter clog up into your gutters as this will create overflow situations which can ruin the layers in your roof. Point your downspouts so that they face away from the foundation of your home or office. This will help to keep the building materials from getting supersaturated and causing liquefaction to set in. Give yourself the time to look at the hoses and fittings that link up your main water line to the appliances which it is connected to for wear and tear. Replace if needed to avoid water damage. Try to not ever place anything into the plumbing system that it was not designed to handle. A safe rule of thumb is, if it can clog, it can backup, so don’t flush it. Let a restoration expert come and inspect your entire property for any abnormalities that can be repaired or replaced now before they cause water damage later. 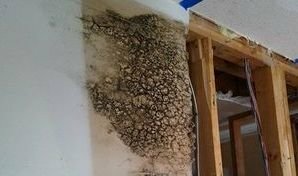 These are some of the most regular instances of water damage and how to avoid it, but there are plenty more, so feel free to contact us for advice too. Don’t let your office or home suffer the effects of a water invasion alone. Contact our water damage Boca Raton team with 911 Restoration Miami and we will solve it all for you today! When water finds a way into property, be it residential or commercial, our technicians are the best bet around for taking care of it and making things look like new again. Our water damage Boca Raton experts use nothing but the latest drying technology to operate on your property and make it dry again as fast as possible. Beyond this, we make sure to always put the customer first with all of the construction jobs we take on. When our specialists work on your property, we will go the extra mile and even make sure that all of your paperwork is in order with the insurance claims process. Our water damage Boca Raton technicians also always put our customer’s needs and desires as the number one priority. If your place of business or residence is already submerged in category three water, then contact our water damage Boca Raton specialists with 911 Restoration Miami and let us handle it all for you today!